When Cadbury’s announced seven years ago that its leading brand, Dairy Milk, would be made from Fairtrade cocoa it was hailed as a milestone marking the ideals of its Quaker founders. The decision in 2009 is still proudly displayed on Cadbury’s website and has been credited with prompting many of its rivals to follow suit. But the company is facing criticism after pulling out of Fairtrade chocolate in favour of its own “sustainability programme”. Its American owners, Mondelēz International, said the move was a “ground-breaking commitment” to help more farmers in the developing world than before, which “builds on” its work with the Fairtrade scheme. The Fairtrade Foundation, which awards the special status to products that meet strict criteria such as paying farmers a minimum price for cocoa, also claimed it was an “exciting development” which would “empower” more poor communities. But critics described it as the great “Cadbury’s fudge”. 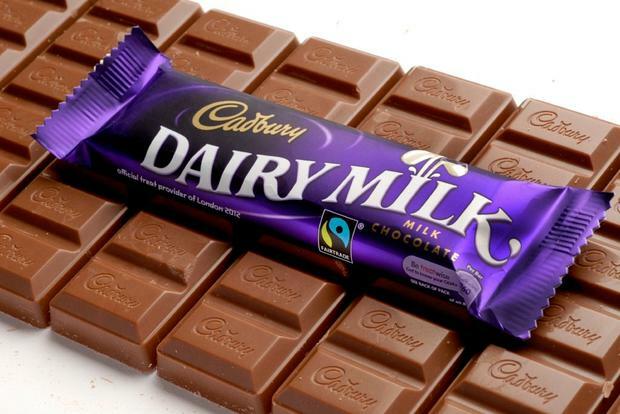 Dairy Milk and other products will no longer be recognised as Fairtrade chocolate and will carry the logo of Mondelēz’s “Cocoa Life” scheme, which it says will involve investing millions of dollars in poor communities, on the front of packets. But it will still carry the Fairtrade logo on the back as part of a “partnership” with the foundation which will monitor its work. David Marshall, founder of the Meaningful Chocolate Company, a small British Fairtrade-only producer, said: “We are shocked by this move. It feels like a classic Cadbury’s fudge because they will have dropped Fairtrade ingredients but hope to get the Fairtrade logo on their bars of chocolate. This action will confuse the consumer and many now believe this may put the Fairtrade scheme at risk. Under Fairtrade rules, farmers are paid at least $2,000 (€2,345) per tonne of cocoa. The Cocoa Life programme does not have a specific minimum price but Cadbury’s deal with Fairtrade to keep the logo stipulates that producers should not be worse off than under Fairtrade. In practice, producers in Ghana and Ivory Coast – where the ­Cocoa Life scheme operates – receive a higher rate than the Fairtrade minimum because of laws in those states. A spokesman for Mondelēz insisted: “The partnership with Cocoa Life will ensure that farmers receive a competitive price for their cocoa, on clear terms of trade, and loyalty payments, which together with programme investments, will deliver value per farmer at least equivalent to that previously delivered by Fairtrade premiums. Mike Gidney, chief executive of the Fairtrade Foundation, said: “We will be holding them to the agreement that the financial package is at least as good as the farmers would get for Fairtrade.” He said the agreement to allow the non-Fairtrade bars to carry the Fairtrade logo would not mislead customers.